Ministry of Forests and Soil Conservation (MFSC)/Conservation and Sustainable Use of Wetlands in Nepal (CSUWN) in collaboration with International Centre for Integrated Mountain Development (ICIMOD), International Union for Conservation of Nature (IUCN), Nepal Academy of Science and Technology (NAST), National Trust for Nature Conservation (NTNC), WaterAid (WaterAid) and World Wildlife Fund (WWF) is proud to announce the hosting of the International Wetland Symposium scheduled in Nepal during 7-9 November 2012. The main aim of IWS-Nepal is to provide a platform for knowledge sharing between national and international researchers and practitioners engaged in the areas of wetlands conservation and management and to provide an opportunity to enhance technical understanding on contemporary issues through plenary discussions. Additionally, the symposium also aims to document best practices and lessons learned in the above mentioned areas. On the US Central Intelligence Agency’s World Factbook website, the page dedicated to Nepal offers a summary of the country: the population, the terrain, the economy, and so forth. It goes on to explain that the “mainstay” of the economy is agriculture, accounting for one-third of the GDP. Not surprising. The Factbook website is just one example of a source which establishes the fact that Nepal relies on agriculture to survive. But take a walk into the country’s premier (and only) Institute of Agriculture and Animal Sciences (IAAS), and you’ll see the destitution of its students. While a few lucky graduates take up jobs within the Ministry of Agriculture and Cooperatives (MoAC), they only make up a small fraction. More than 6,000 students have thus far taken some course from the institute and, considering the dearth of working agro-specialists in the country, it’s shocking to learn that most of these graduates are not engaged in any agro-related activity whatsoever. In fact, last year, 173 students graduated from the institute, and more than 85 of them are preparing to go abroad. 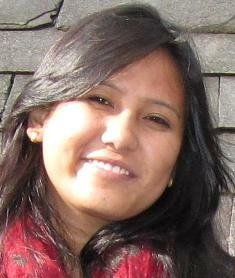 Dipti Rai, a recent IAAS graduate, blames political instability. “It’s not that we don’t have the talent, but there’s no encouragement,” she says. Educating students on agricultural innovation and sustainable farming methods is of little use when there’s no outlet for them to demonstrate these acquired skills. This is why most students with solid Nepal-specific knowledge on the ins and outs of the agricultural economy turn to wealthy countries where technological advancements in agriculture are already in place, and where they can actually use their skills. Graduates, post graduates, experienced and skilled professionals are simply not getting enough opportunities to succeed in Nepal, and are consequently turning to the West. Just in the US, according to the Institute of International Education’s Open Doors’ 2010 report, Nepal ranks 11 among international students. There were 11,581 students from Nepal in the US, a 30 percent increase from the previous year. Compare this to 1990, when there were only about 600 students from Nepal. Cumulatively, foreign students are estimated to inject US $20 billion into the American economy annually. Among Nepali students in the US, around two percent undertake agriculture and give back to the American economy accordingly. 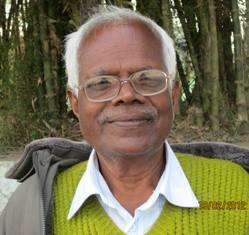 But technically, the scope for agriculture students and practitioners should be higher in a country like Nepal. IAAS was developed precisely with that in mind. With financial assistance from USAID, it began its first phase of development in 1975. The second phase, focusing on human resources, began in 1984 and the World Bank involved itself in the infrastructure development aspect. IAAS has, since then, had no external assistance. But it’s also had very little government assistance, which has taken a huge toll on the institution. By now, political instability has seeped into every government office, affiliate, wing and association, and education has taken a huge hit. IAAS, like every other government campus in the country, has instead become a playground for the political elites. The Israeli student exchange programme, a highlight of the institute, which brought in foreign students to the campus, was revoked altogether. And the cumulative effect is simply that students want out of the institute, and ultimately, the country. More than 80 research papers are submitted each year as part of the post graduate programme, and yet, the professors tell of how the number of quality researches among these can be counted on a single hand. The remaining is the kind of research that is done to simply get the degree. 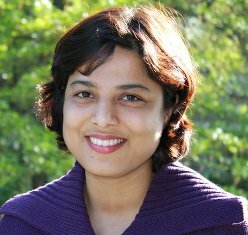 Sonisha Sharma, a 2008 graduate from IAAS, is currently pursuing a post-graduate degree on Remote Sensing Applications in Crop Management at the University of Nebraska-Lincoln. She says the differences are not just a matter of “the West is rich and we are poor.” More knowledge and more interaction with people from different parts of the world “makes us able to apply our skills everywhere in the world” after the completion of study, she says. But here in Nepal, the few international exchange programmes that were running have already come to a close. Sixty-six percent of the Nepali population is involved in agriculture, contributing 36 percent to the GDP, and although agriculture is prioritised at the planning level of every policy, in terms of budget allocation, less than four percent is actually allocated to the sector in the national budget. The most well-known and productive body for agricultural research in the country, the Nepal Agricultural Research Council (NARC), has also seen a huge dip in funding, rendering almost all research into the agriculture sector obsolete since 2005. NARC leadership has made it clear that its budget is substantially less than the amount the government allocates for ‘farmer training’, and ‘district development’. But it’s a wonder how both are possible without substantial research into the sector. Another cause for concern is that the demand for agricultural scientists far outweighs availability and capacity. A significant number have retired in the past 10 years or will be retiring within the next three to five years. NARC was able to hire only 90 scientists in the past year against a reported 300 vacancies. A joint report by Michigan State University and USAID published in 2010 clearly states that “NARC scientists need additional training. To minimise brain-drain, scientists should be trained at home country institutions, especially at the masters level, rather than sending them to the United States or the United Kingdom.” The need for efficient and sustainable agricultural methods is perhaps the most significant in Nepal’s economic development, and yet the tools which could make this possible are lacking, from the government, to education, and beyond. One initial and efficient way to limit this agro-brain-drain phenomenon would be to seek its conversion to ‘brain exchange’. This would require the intensification of scientific cooperation with universities, laboratories and research institutions in Western Europe and North America. Another alternative would be to seek membership of international institutions such as AGORA, CABI, CEI, COST, ESF, EUREKA, HINARI, OARE etc. Additionally, the IAAS Alumni Association and NRN could launch initiatives on awareness and implementation of agriculture as an attractive business. The possibilities are endless, but ultimately, it all boils down to who’s listening. But few at the decision-making level tend to pay attention to ground-realities until it’s too late. Applicants must be Nepalese nationals under 35 years of age as of April 1st 2013 (i.e. born on or after April 2nd, 1978) and have completed at least 16 years of education (15 years is also accepted if the undergraduate course is designed for only 3 years) and secured 70 percent marks for Natural Sciences and 60 percent for Humanities and Social Sciences in aggregate at all level of exams. Humanities and Social Sciences: Literature, History, Aesthetics, Laws, Politics, Economics, Commerce, Pedagogy, Psychology, Sociology, Music, Fine Arts, etc. Natural Sciences: Pure Science, Engineering, Agriculture, Fisheries, Pharmacology, Medicine, Dentistry, Home Economics, etc. The field of study must be the same as the applicant’s previous study leading to their final graduation. Applicants need to attach attested copies of certificates and mark-sheets along with the application. 3. Application Forms Completely filled-in applications together with the necessary attachments will be accepted at the Embassy in person from 30th April to 4th May 2012 between 09:30-12:30 hrs only. Two years from April 2013 to March 2015 (extendable for masters/ doctoral courses). The term will be one and half year for those students who choose October session. Applicants must be willing to learn the Japanese language, be interested in Japan and enthusiastic about deepening his/ her understanding of Japan after arrival there. Applicants must be Nepalese nationals between 17 to 21 years of age as of April 1st 2013 (i.e. born between April 2nd 1991 and April 1st 1996). Applicants must have completed a twelve-year regular course of education and have secured 75 percent marks for Natural Sciences and 65 percent for Humanities and Social Sciences in aggregate in SLC and plus two exams. Humanities and Social Sciences (A): Laws, Politics, Pedagogy, Sociology, Literature, History, Japanese language and others. Natural Sciences A: Science (Mathematics, Physics, Chemistry), Electric and Electronic Studies (Electronics, Electrical Engineering, Information Engineering), Mechanical Studies (Mechanical Engineering, Naval Architecture, Environmental Engineering), Chemical Studies (Applied Chemistry, Chemical Engineering, Industrial Chemistry, Textile Engineering) and other fields (Metallurgical Engineering, Mining Engineering, Mercantile Marine, Biotechnology). Natural Science B: Agricultural studies (Agricultural Chemistry, Animal Science, Veterinary Medicine, Forestry, Food Science, Fisheries), Hygienic studies (Pharmacy, Hygienic, Nursing), Science (Biology). Natural Science C: Medicine, Dentistry. The field of study must be the same as the applicant’s previous study leading to their final graduation. 3. Application Forms Completely filled-in applications together with the necessary attachments will be accepted at the Embassy in person from 23rd to 27th July 2012 between 09:30-12:30 hrs only. Five years from April 2013 to March 2018 (seven years for medical/ veterinary including one-year preparatory education in Japanese language and other subjects). In principle, the selected Applicant must be able to leave for and arrive in Japan between the 1st and 7th of April 2013. 6. Language: All classes will be given in Japanese language. The grantee will be enrolled at a preparatory school designed by MEXT for a one-year intensive course in the Japanese language and other subjects necessary for preparation for proceeding to specialized training colleges. The preparatory course of one year mainly consists of education in Japanese Affairs with focus on Japanese Language teaching. A grantee will not be allowed to proceed to a specialized training college if he/ she is determined incapable of completing the prescribed course at the preparatory school. Applicants must be Nepalese nationals between 17 and 21 years of age as of April 1st 2013 (i.e. born between April 2nd 1991 and April 1st 1996). Applicants must have completed a twelve-year regular course of education and have secured 75 percent marks for Natural Sciences and 65 percent for Humanities and Social Sciences in aggregate in SLC and Plus Two exams. 3. Application Forms Completely filled-in applications together with the necessary attachments will be accepted at the Embassy in person from 23rd to 27th July 2012 between 14:30-16:30 hrs only. Qualified applicants must sit written examinations of English, Mathematics (and Japanese) to be conducted by the Embassy on Saturday August 4th. Three years from April 2013 to March 2016 including one-year preparatory education in the Japanese language and other subjects to be provided upon arrival in Japan. In principle, the selected Applicant must be able to leave for and arrive in Japan between the 1st and 7th of April 2013. 6. Language: The Applicants must be willing to learn Japanese language and receive education at a professional training college in the Japanese language. This international conference is being organized in India to highlight the urgency of biodiversity conservation in Asia ahead of the 11th Conference of the Parties (CoP) of the UN Convention on Biological Diversity (CBD) to be held in India in October 2012. Biodiversity Asia 2012 will bring together researchers, policy makers, managers, students, teachers, NGOs, activists, and others working towards the conservation of Asia’s biodiversity. Biodiversity Asia 2012 will include important updates on conservation research in Asia in lectures, plenary sessions, symposia and poster sessions by leading scientists and students. Biodiversity Asia 2012 will also contribute to capacity-building in Asia by including practical workshops and short-courses for students and practitioners. The ICRD / CEMARE joint Conference will provide a unique forum for participants to explore the many multidisciplinary aspects of fisheries and marine science. This conference will provide a wonderful opportunity for fisheries and marine scientists to meet, exchange information and network . MarineFish 2012 In addition to the outstanding symposium and contributed papers, this event will feature a broad range of technical, social, and legal topics that are of national and international interest, and climate-related events aimed at ensuring the sustainability of fisheries resources. Session themes for the conference cover a rich and diverse range of research topics. We hope these sessions will bring researchers from across the globe together to discuss broad questions of common interest and provide a platform to establish relationships with new colleagues. We look forward to seeing you in Negombo, Sri Lanka the center of fisheries in the Indian Ocean.